The infamous phrase: “the eyes are windows to the soul” couldn’t be reflected in a much better way than these historic photographs. They will not only impress you, but also help to restore your faith in humanity once again. 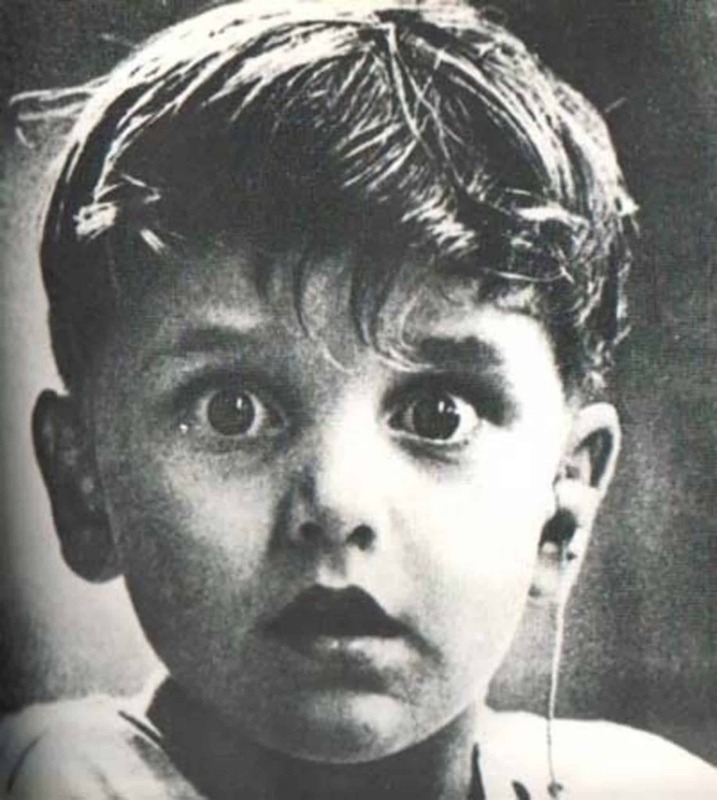 The exact moment this deaf 5 year old boy: Harold Whittles, hears sound for the first time in his life. Thanks to a hearing aid and an Illinois doctor’s services, Harold was set on the road to recovery. 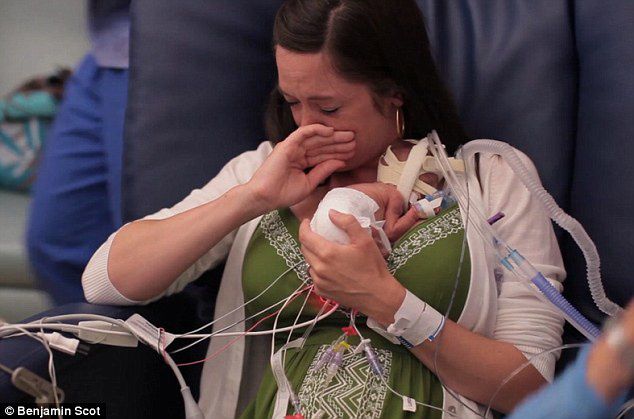 Columbus Ohio – Lindsey Miller gets to hold her baby after 107 days of intense incubation treatment. 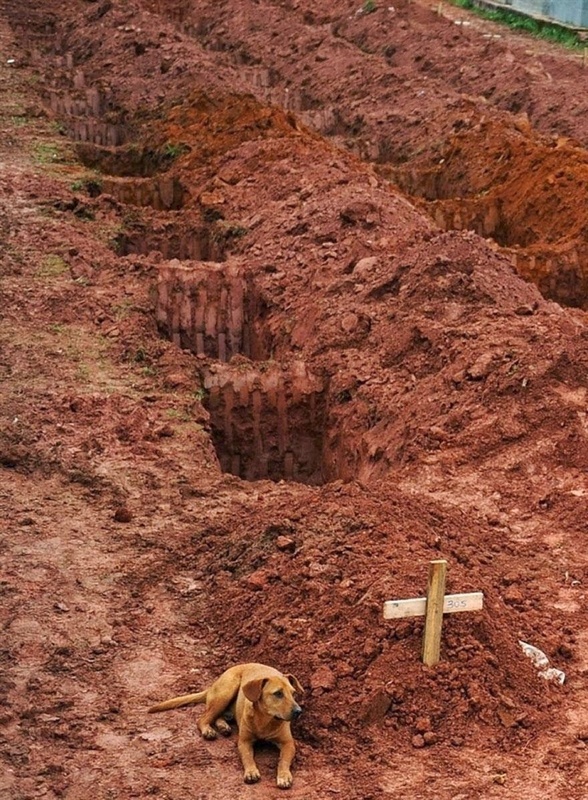 This dog is mourning the loss of his owner by the grave’s side. 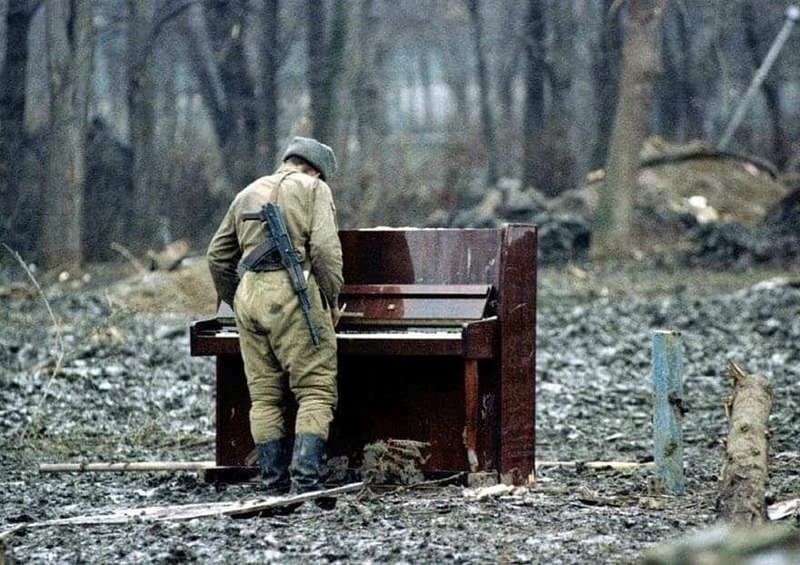 This Russian soldier couldn’t keep his hands away after he sees an abandoned piano in Chechnya. 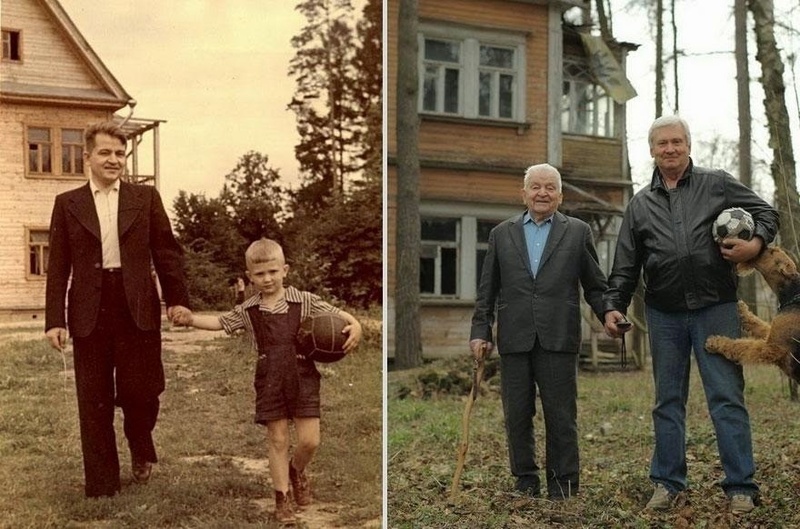 A father and son duo as seen in this 1949 vs. 2009 photograph. 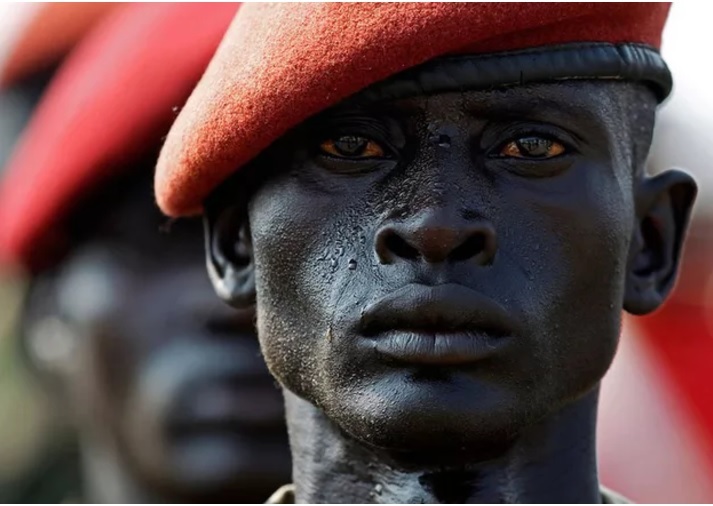 The Sudanese Liberation Army soldier stands active, as the news of South Sudan’s independence breaks out. You can clearly see the tears boiling up in his eyes. 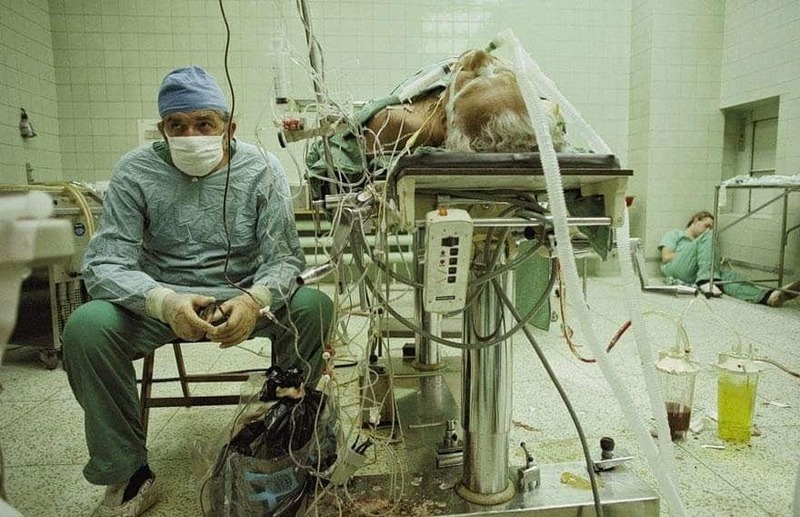 This doctor successfully performs the longest heart surgery in the history of cardiology. You can see his tired assistant curled up in the corner of the room. 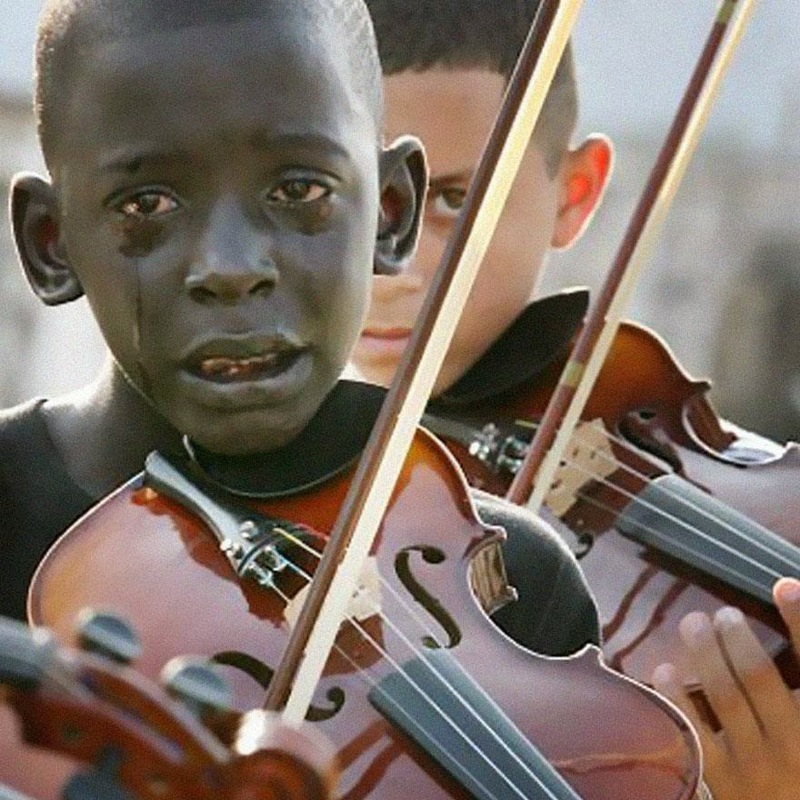 12 year old Diego Tarquato plays violin at his teacher’s funeral to commemorate his death. 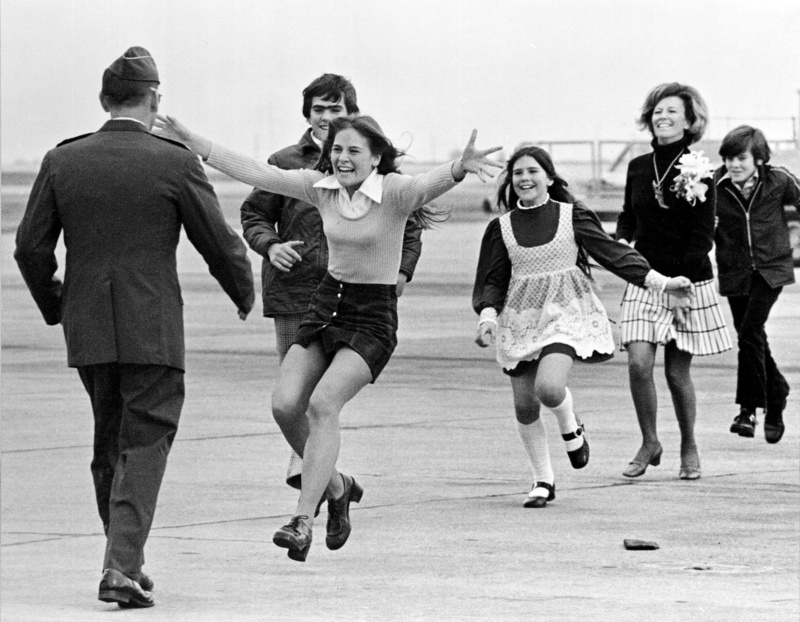 POW Lt. Col Robert reunites with his family for the first time in this 1973 rare photograph. 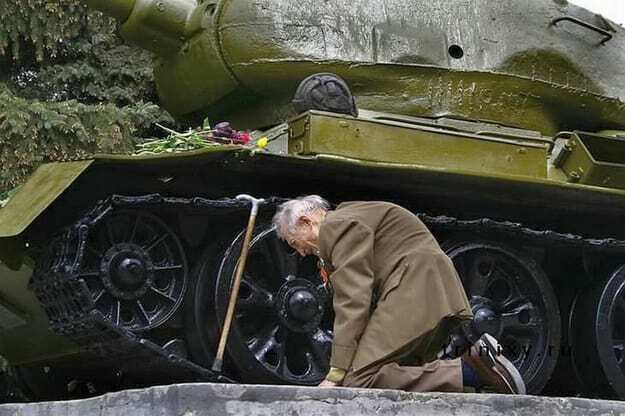 The solemn bow shows this Russian war veteran besides his tank. He located it years after the war, as the tank was displayed as a monument. 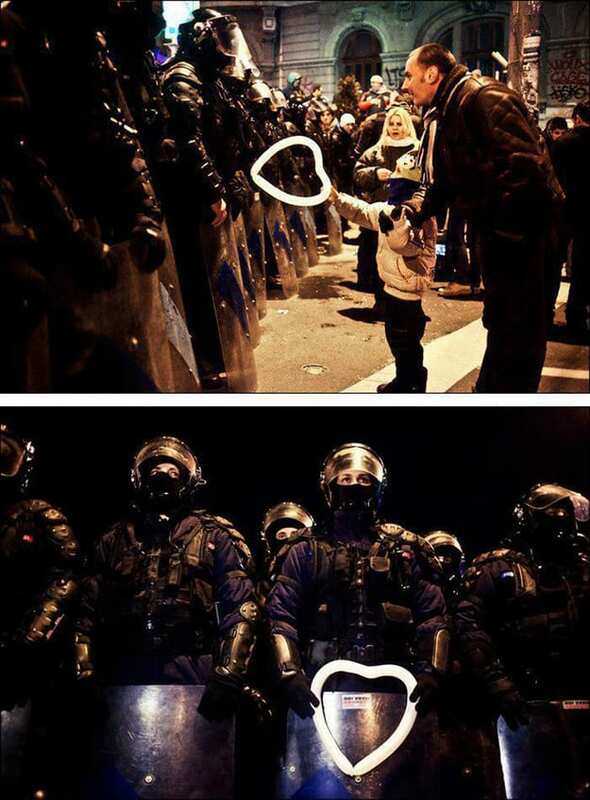 A father and son give a heart shaped balloon to riot police officers in this touching photograph from Romania. Cpl. 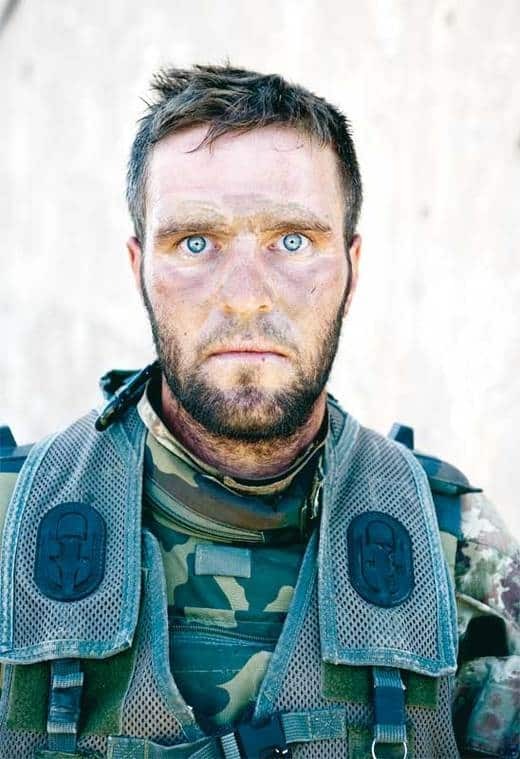 Antonio Metruccio spends 72 hours straight on in a war intensive zone. You can see the look of despair in his eyes. 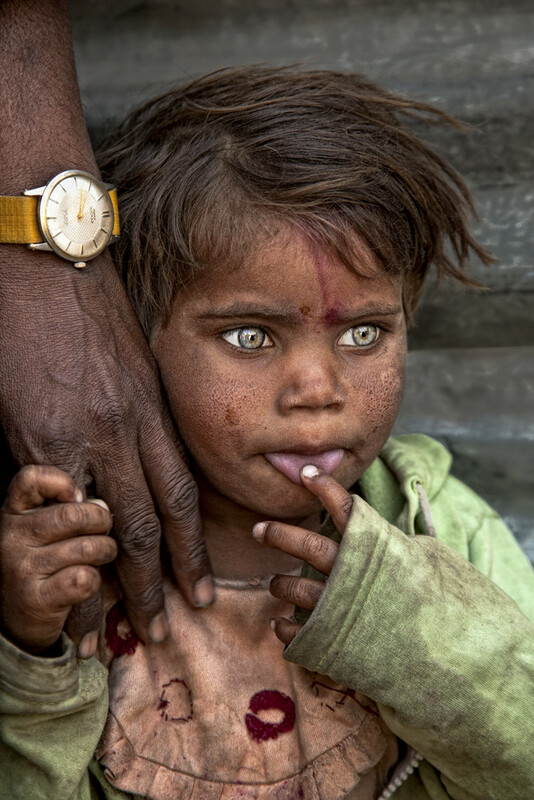 A photographer shows the sense of poverty and hunger in the eyes of this little girl from the slums of India. 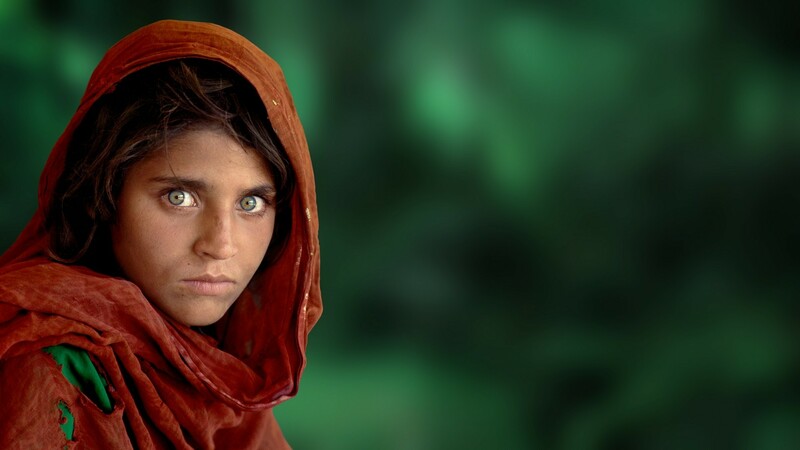 This 1984 National Geographic photograph capture a young Afghan girl in a refugee camp. Clearly, you can see the ray of life shining strong in her eyes. This young man learns of his brother’s death. 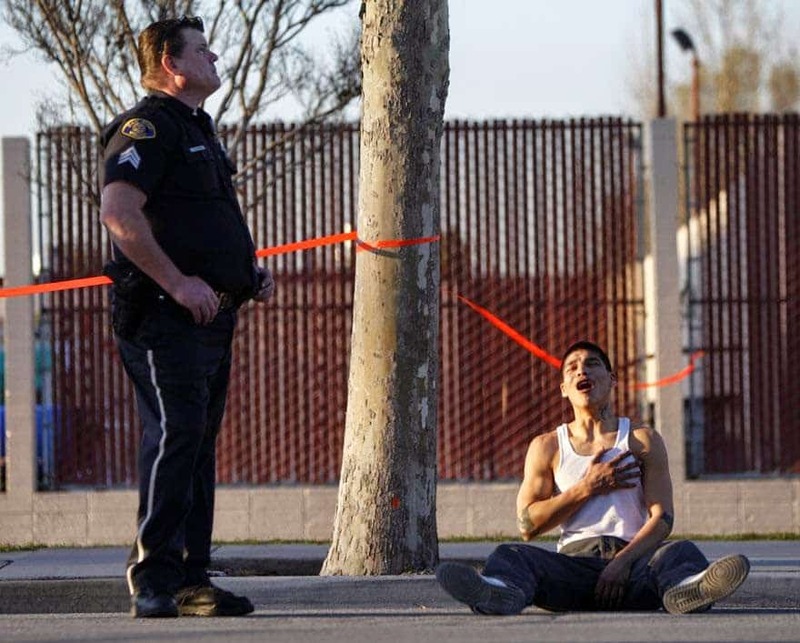 The photograph was taken moments after the officer broke the news to him. 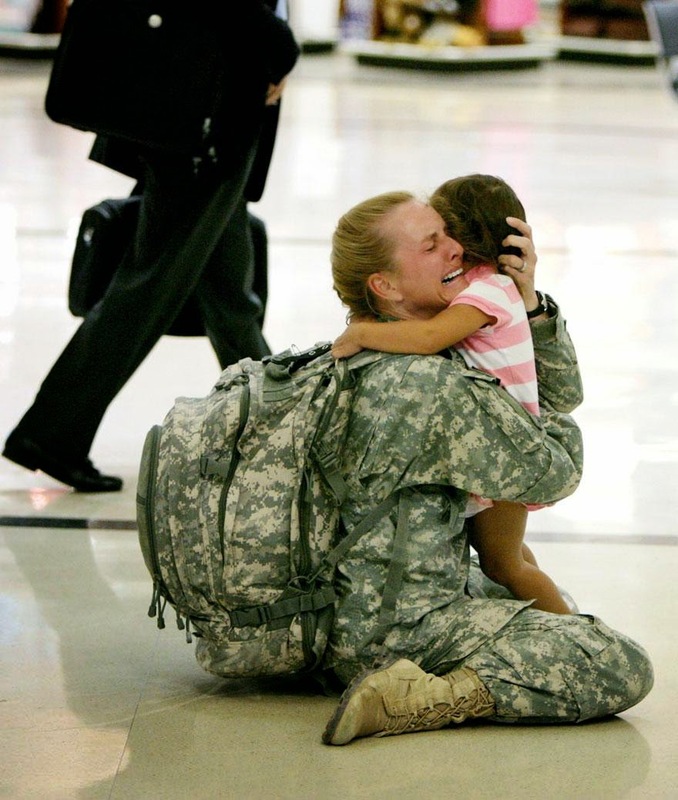 A U.S. soldier reunites with her daughter after serving in Iraq for over 7 months. Even the strongest men and women serving our country break out in tears at the sight of their loved ones.